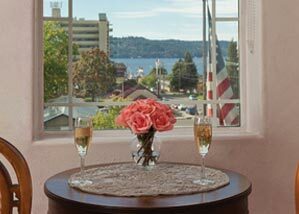 You deserve the best, therefore the Bell Tower Suite in our historic Coeur d’Alene hotel is for you! 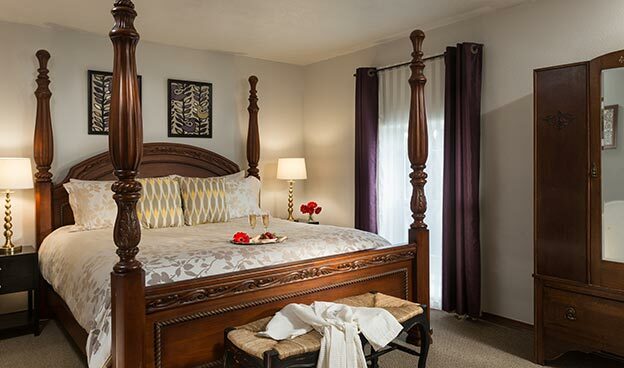 This large and spacious two-story suite complete with private bathroom, fireplace, and King sized four poster bed, encompasses the steeple where the school bell once hung; now a delightful private sitting area with magnificent views of the lake. A nautical telescope allows you to watch sailboats as they glide across the water. 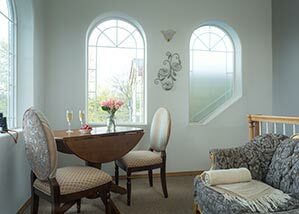 Contemporary in design and decor, the Bell Tower Suite is perfect for any special occasion or romantic getaway at our Coeur d’Alene bed and breakfast.